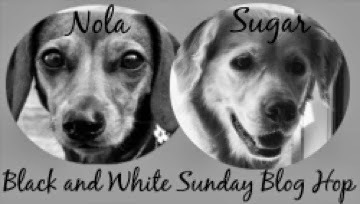 It's Sunday's Black & White Blog Hop hosted by Dachshund Nola & Sugar the Golden Retriever. but I hope that your weekend is full of technicolor fun! This is Pierre our "granddog" sleeping like a baby! Our dogs don't sleep all of the time, but it IS the only time they are still! 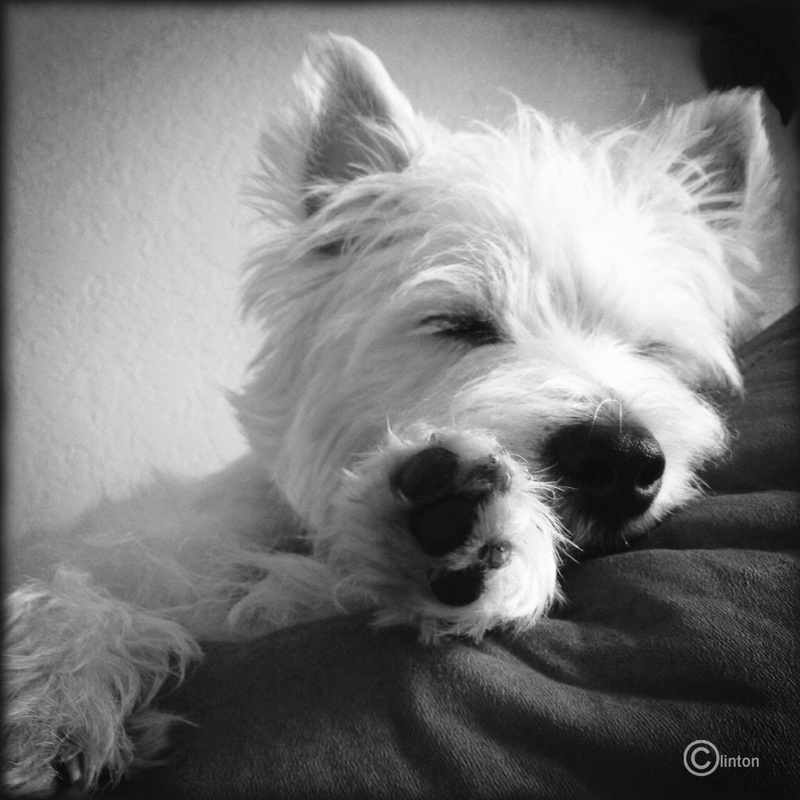 Hop to these other great blogs for more beautiful black and white photos. It always seems easier to get a cute photo when they are sleeping! Thanks for hopping in and enjoy your Sunday! He looks so happy and love that paw! Thanks Emma! You look pretty comfortable in yours today, too! I used to only have photos of my pups sleeping too! Everything else was blurry. I already hopped by Emma's blog and told her I was going back to bed but this cute sleepy photo seals the deal! There are several sleepy dogs today! My boys will pose perfectly until they see the camera! Yes, I told Emma that her pic looks like they are being woke up for school! Aw! Gorgeous pic! Lovin the black and white! Hope you are having a great weekend! Thanks! It's a great weekend here...sunny but chilly. Waiting for kickoff to championship Sunday. What a cutie - nice when they are so peaceful huh? Ohhhh Pierre is beyond adorable!! Love that photo! Thanks Caren, he is a sweetheart! Have a great Sunday. What a sweet photo of your granddog!! I appreciate it. Like all grandkids, we spoil him rotten. : ) Thanks for visiting! Sunday is the best time for snoozing with Mum! Indeed, he just snoozed on my leg through half of a football game. I hated to move and wake him up. wow wee great photo. Love the black paw pads sticking out. Have a great sunday. Awww, thanks. He's a snuggler which makes it sooo hard not to wake him up with kisses. I hope you enjoy your day too! He is precious! Sometimes I think sleeping photos are the best! I'm so glad that you stopped by today. I enjoy your blog so much! I'm glad you dropped in to visit! Thanks so much. nap times are the best times!! Sunday naps are the best! What a sweet capture! Aww. So cute! I always want to coo over cute sleep poses but then they wake up.